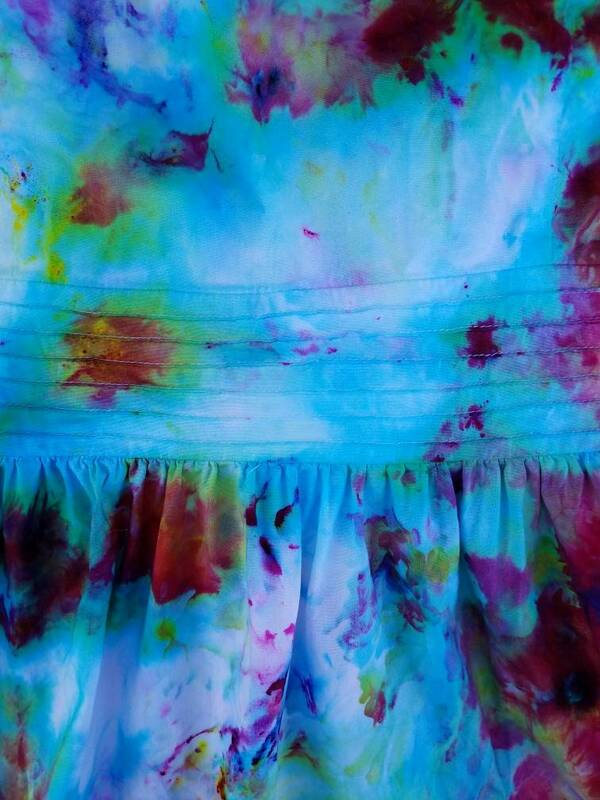 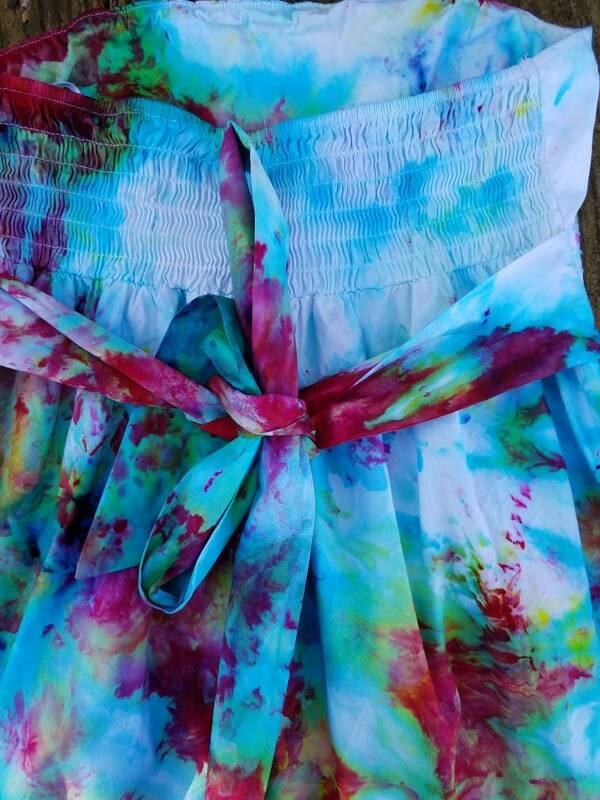 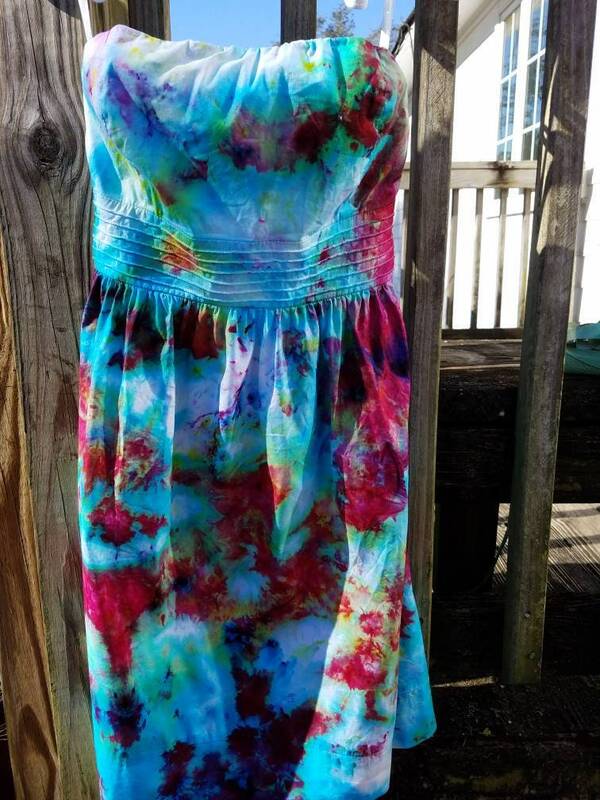 Stand out in this one of a kind, hand dyed, upcycled sundress. 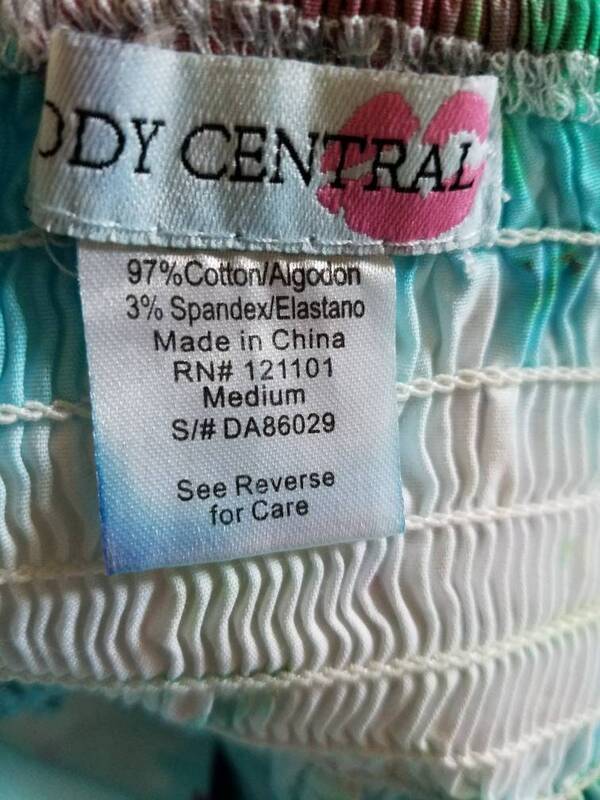 The dress brand is Body Central and is a medium (but seems smaller). 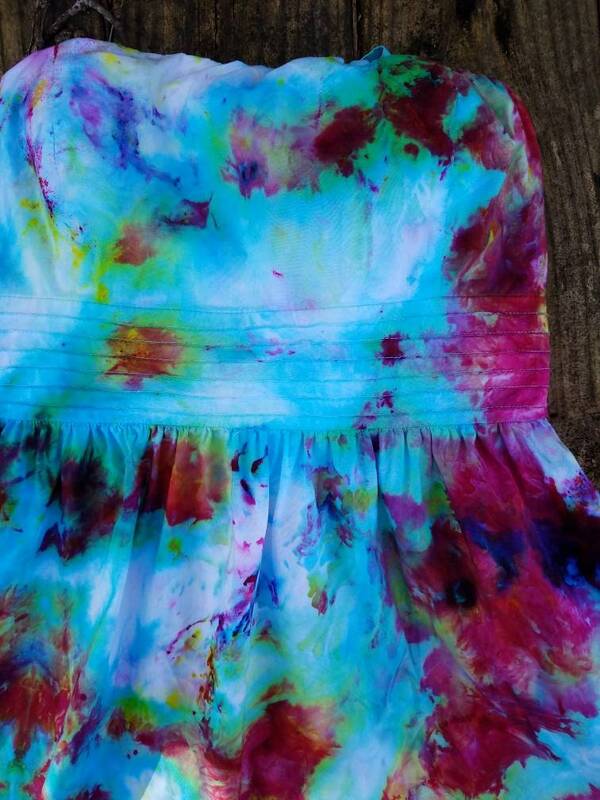 The dress is cotton and spandex. 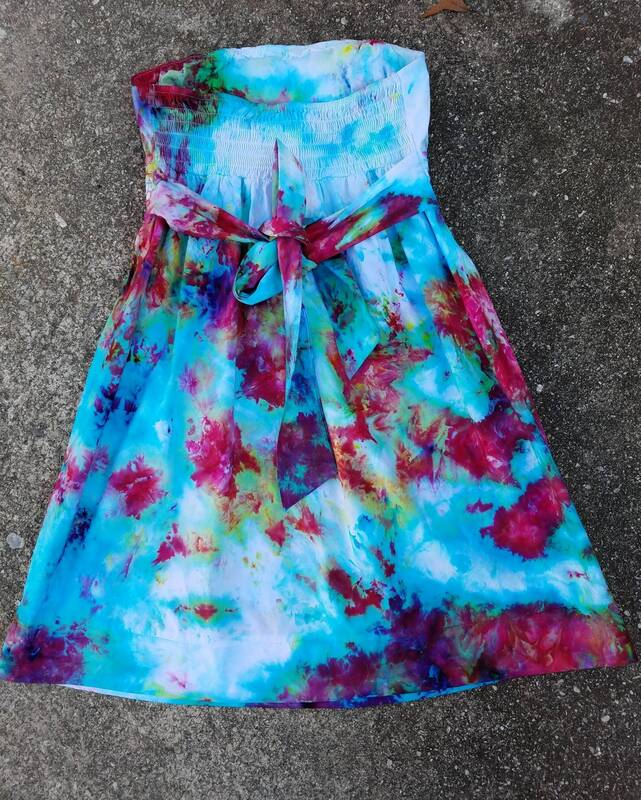 The dress measures approximately 27 inches from the top of the dress to the bottom and has a gathered elastic bust. 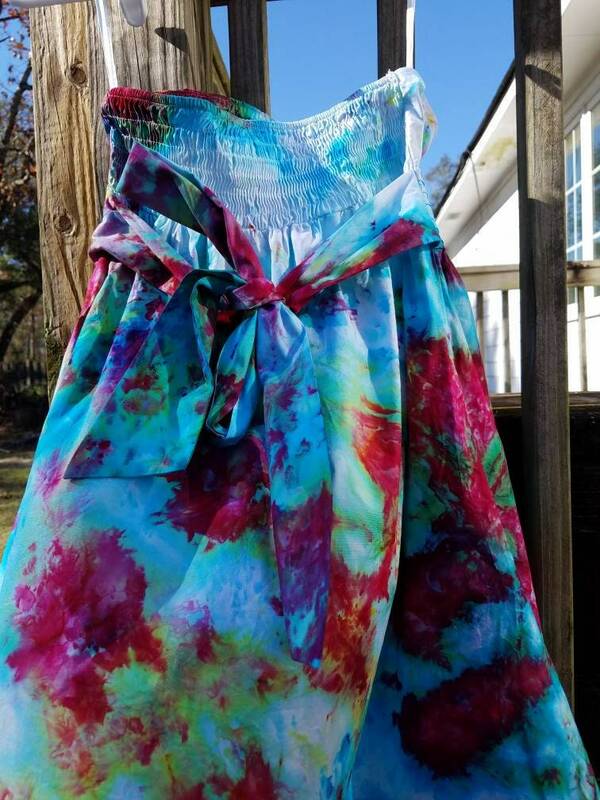 The waist measures approximately 24 inches and ties in the back. 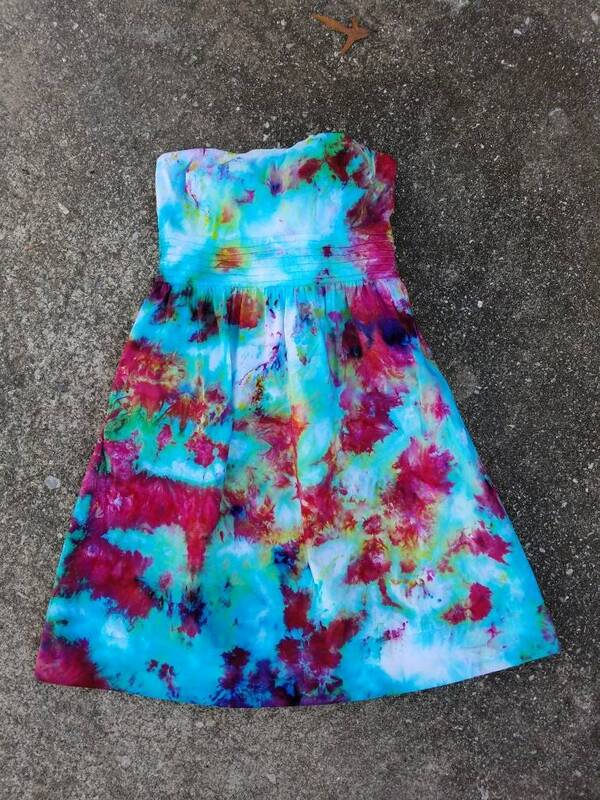 Dress has been dyed with fiber reactive dyes which bond chemically to the dress fibers instead of just the top layer of the fabric to ensure color fastness.